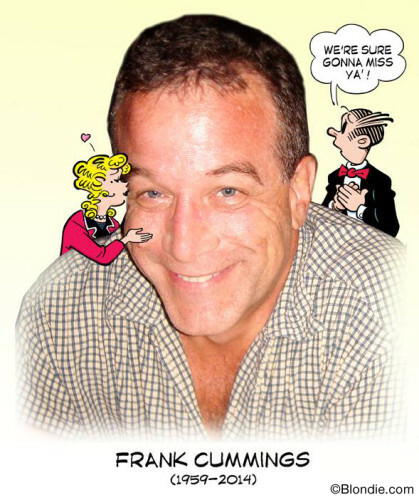 Sad news, Cracked and Blondie artist Frank Cummings has passed away. It is with heavy hearts that we announce the passing of our dear friend and colleague Frank Cummings. Frank has been a working commercial artist for over 30 years. His early career was spent working in newspaper and advertising agency art departments. In 1992, he self-published JAB, a regional (southeast) illustrated satire/humor magazine. By 1995, the magazine had caught the eye of exercise guru Richard Simmons and national humor mag, Cracked. Frank spent the next nine years producing Richard’s monthly newsletter, Richard Simmons & Friends, and illustrating monthly movie parodies for Cracked. In 2004, Frank was hired by King Features Syndicate and Blondie, to be the assistant artist (to head artist John Marshall) on Blondie. He will be greatly missed by all who knew and loved him. 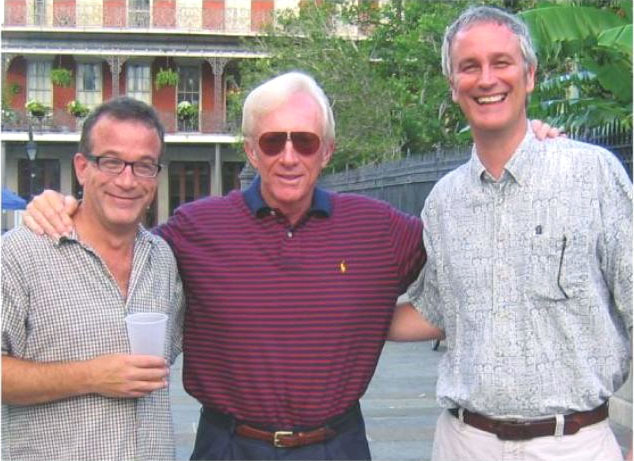 The Blondie team: Frank Cummings, Dean Young and John Marshall. This entry was posted in Artists - Cartoonists, Frank Cummings and tagged Dean Young, Frank Cummings, John Marshall. Bookmark the permalink.